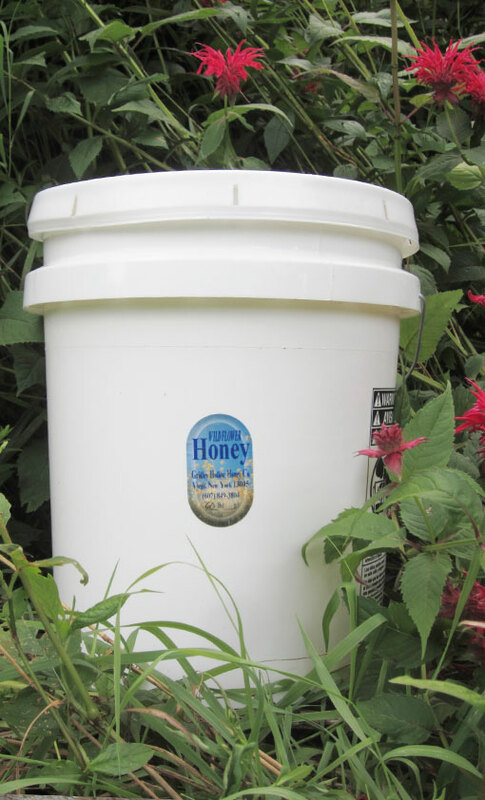 Fall Wildflower Honey – 2 Lb. 10 Oz. 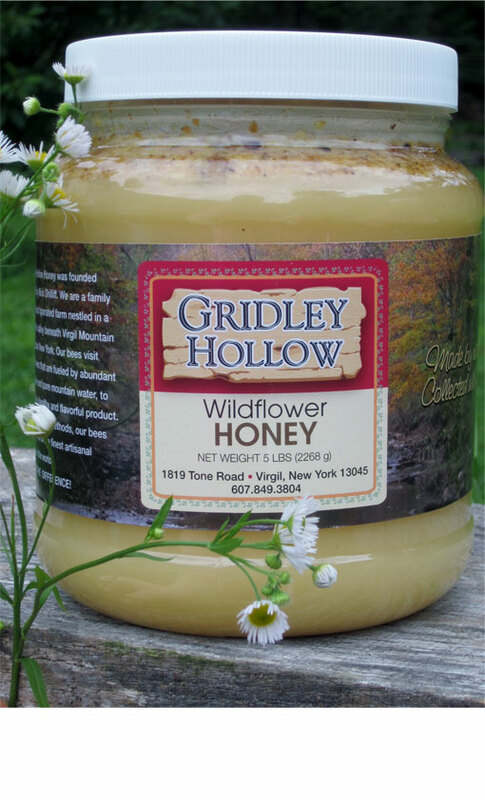 Jar – Gridley Hollow Honey Co.
Our honey is produced in very rural areas of Cortland, Broome and Tompkins Counties of New York away from large agriculture operations. This allows us to produce a unique and healthy artisanal product. We do not heat our liquid honey over 110 degrees F, to keep the flavor, pollens and live enzymes intact. It is strained to remove the small pieces of beeswax and propolis. Fall wildflower is usually a mix of goldenrod and aster. It is light colored, fast, smooth crystallizing honey with a robust flavor. Some years the bees collect bamboo (Japanese knotweed) nectar which is very dark brown and mix it with the goldenrod/aster blend making the whole blend slightly darker. We have about 30 different apiary locations and each has a different mix of flowers. Each harvest may have a slightly different flavor, due to the nectar mix collected by the bees. These honey’s are great in coffee and hot drinks, spread on toast or used in baking.